Traditional Medicine sees health as the absence of disease. Your doctor visit is to treat diseases or to find them at early stages. Traditional Medicine is not interested in your Vitality or if you feel fabulous. “Total Health” involves looking at hormones, organ systems, toxins, stress and nutrition as ways to create optimal health and prevent diseases. At Vitality we use the above modalities in ways that mimic mother nature. Vitality Medical Clinic is designed to help you take your health and wellness into your own hands and to not allow the aging process to slow down or stall your life and Vitality. 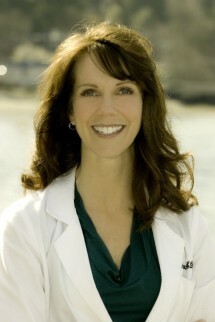 Tami Meraglia, M.D. (or "Dr. Tami" as her patients know her) is a dedicated physician who is double board certified in Aesthetic Medicine and Integrative and Natural Medicine. Dr. Tami is passionate about creating natural aesthetic results in her patients. Additionally, she can help discover and correct any medical conditions or hormonal deficiencies or imbalances that may make one feel and look less beautiful and energetic. hormones for men and women. Scott Moser, N.D, is Vitality Medical Clinic's newest team member. Dr. Moser's passion is to help his patients by educating, guiding, and encouraging them to make healthy lifestyle choices about their health and wellness. Dr. Moser received his doctorate in Naturopathic medicine at Bastyr University and has a wide range of experience in the naturopathic field and as a pharmacy technician. Check out Vitality Medical Clinic at the link below to find out how Dr. Tami and her staff can improve your health and bring out your natural beauty!